Here's an excellent play on words for anyone interested in mathematics and English word play, provided they don't take exception to the innuendo. I don't know where this was first posted, but I saw it here on the amazingly successful and thoroughly engaging science site called IFLS. Like I said, it's successful and engaging despite the freaking name. Holy shift! 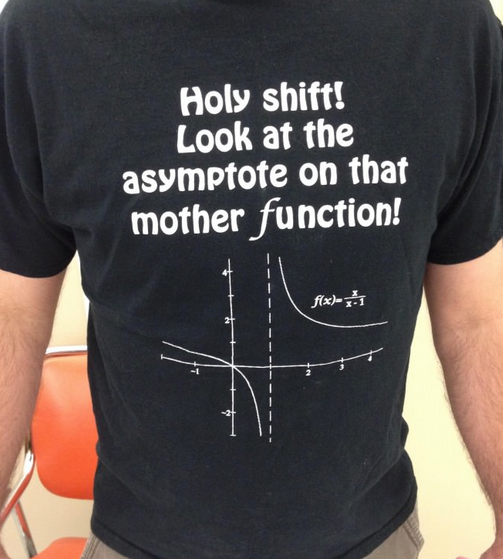 Look at the asymptote on that mother function.